1. Preheat oven to 400F. Line a baking sheet with a silpat. 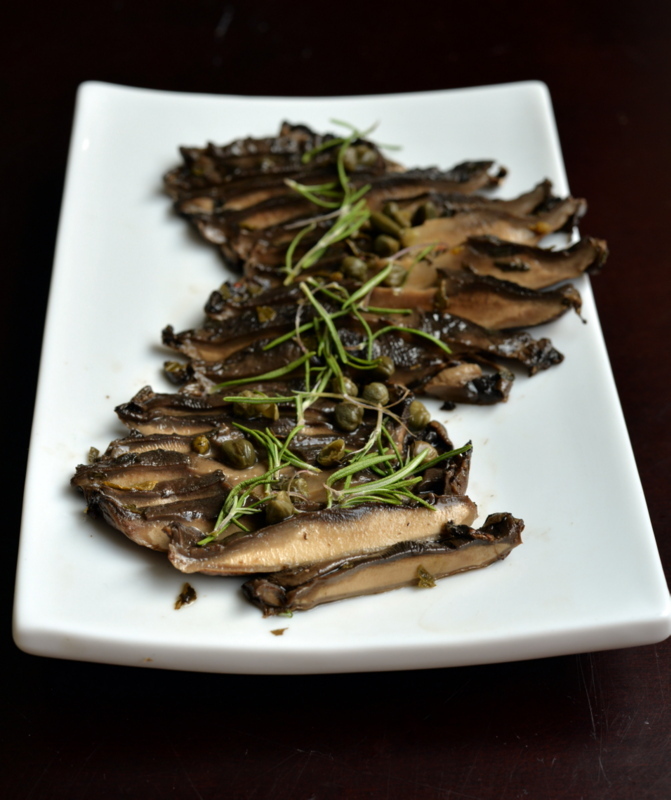 Degill and destem your mushrooms. 2. In a small bowl, combine the olive oil, red wine vinegar, bragg’s, oregano, basil, liquid smoke and 1 tbsp fresh lime juice. 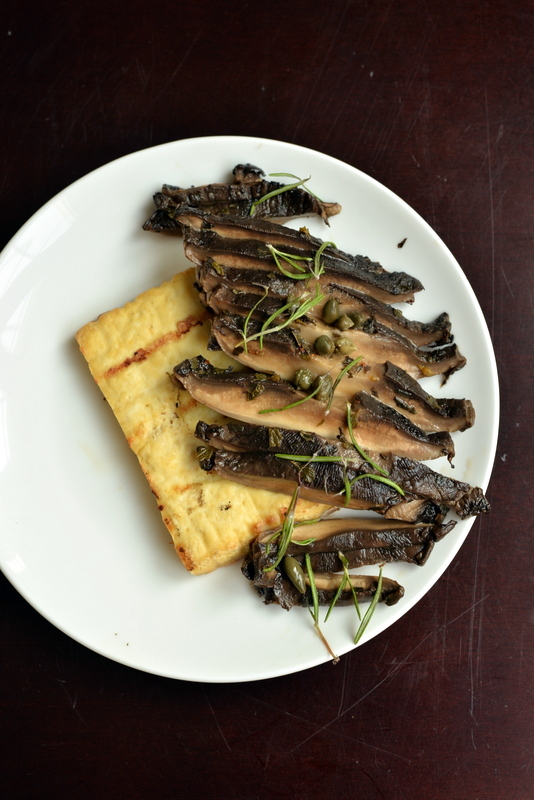 Use a pastry brush to coat the mushrooms. 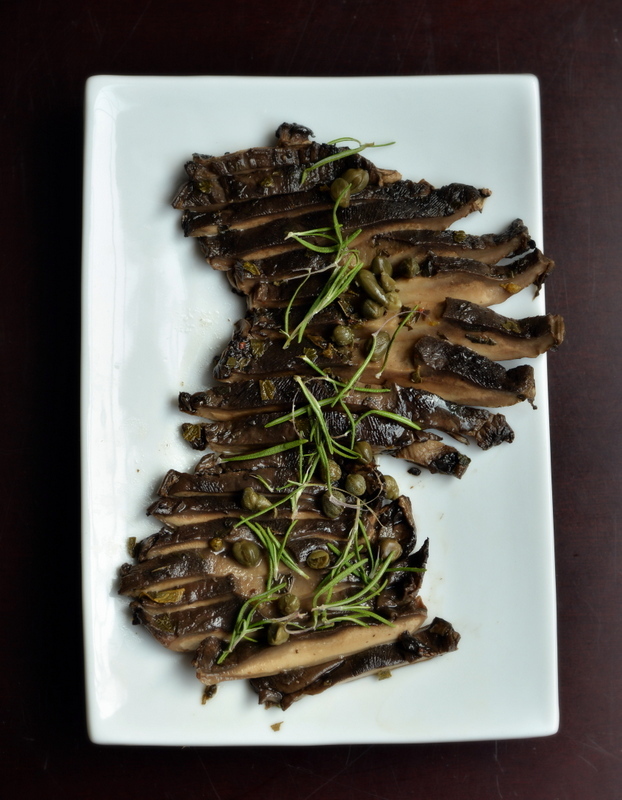 Place the mushrooms, gill-side down and allow to marinate for 10 minutes. 3. Roast mushrooms at 400F for 4 minutes, flip the mushrooms to be gill side up, baste with the remaining marinade and continue to bake for another 4 minutes. Remove from oven and allow to cool for 10 minutes. 4. 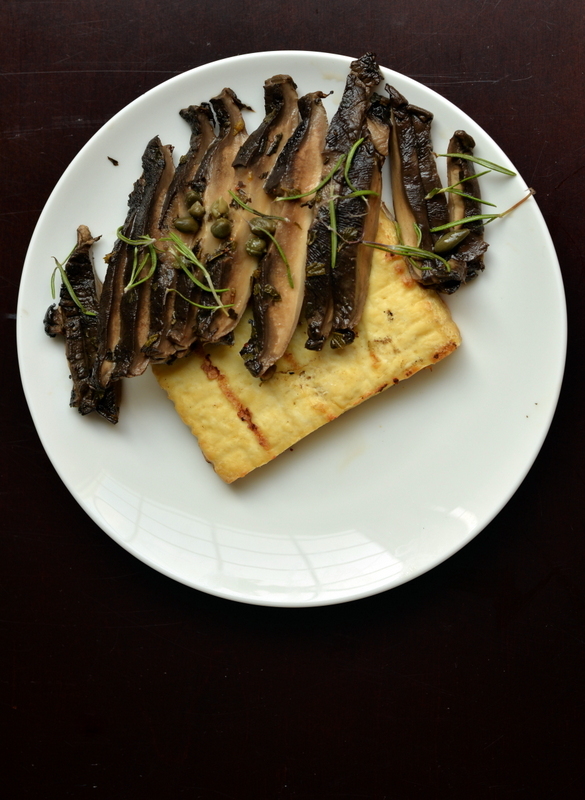 Once cool to handle, cut the mushrooms in thin slices with a serrated knife cut on a diagonal (ie, on a bias) to give you a larger surface area. Top with any remaining marinade. 5. 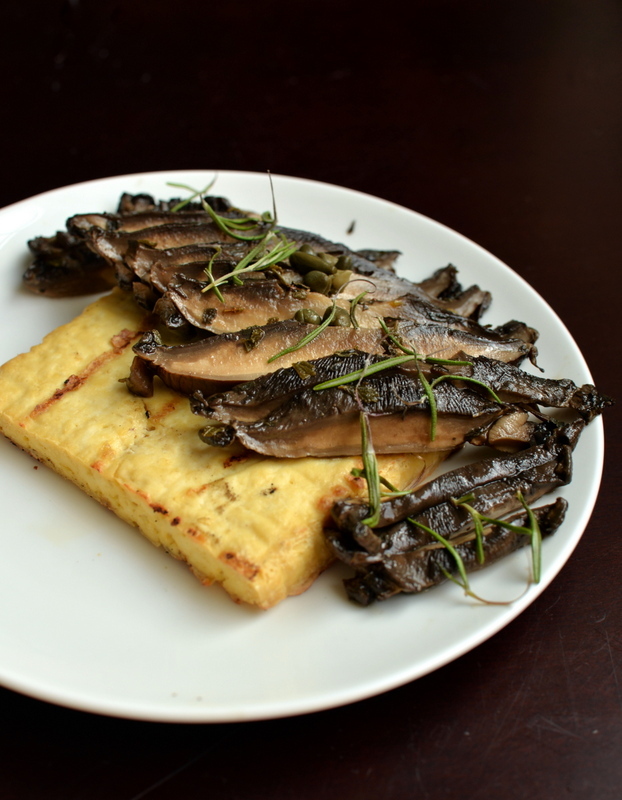 If not serving immediately, place mushrooms in the fridge. Mine were excellent after 6 hours. 6. Prior to serving, arrange on a plate. Drizzle with the remaining 1 tbsp of fresh lime juice. Top with the capers and fresh rosemary. 1. Pat the tofu slices dry with paper towels. Using a pastry brush, brush the tofu on both sides with the oil and season with salt and pepper. 2. On the barbecue, on high, grill the tofu, turning once, until grill marks form and the tofu is heated through, about 6 minutes on each side. I love mushrooms! The grilled tofu is good too – I did it back home in my mom’s Big Green Egg. It gave it a great smoked taste! Thanks for submitting them to Meat Free Mondays. Featured, Stumbled, Pinned and Tweeted.